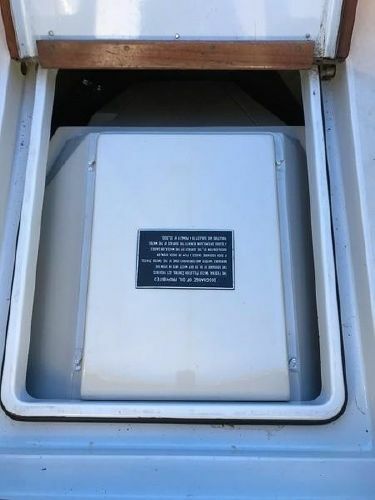 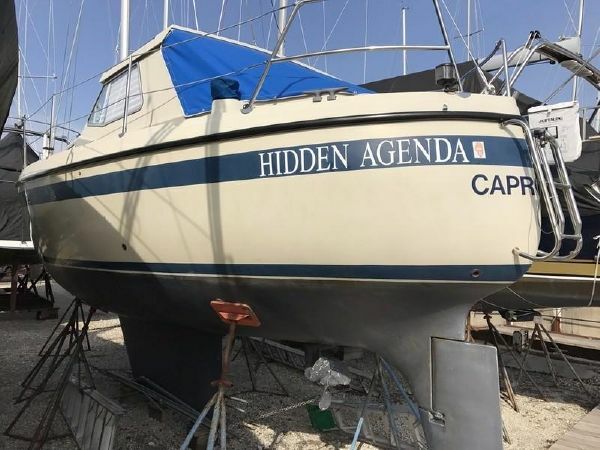 Name Reserved for Next Boat? 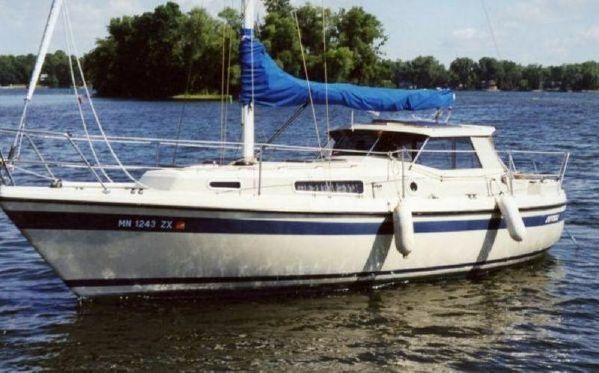 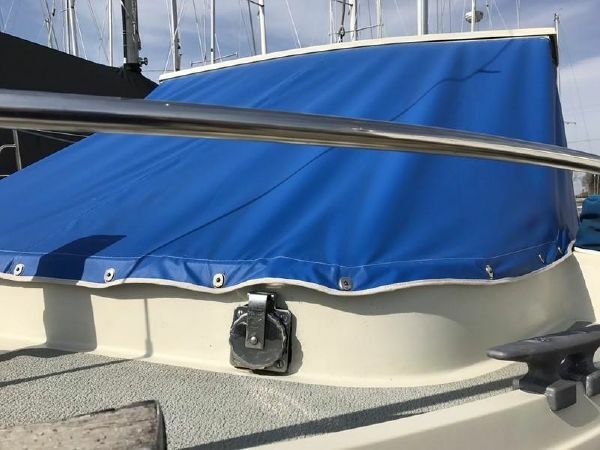 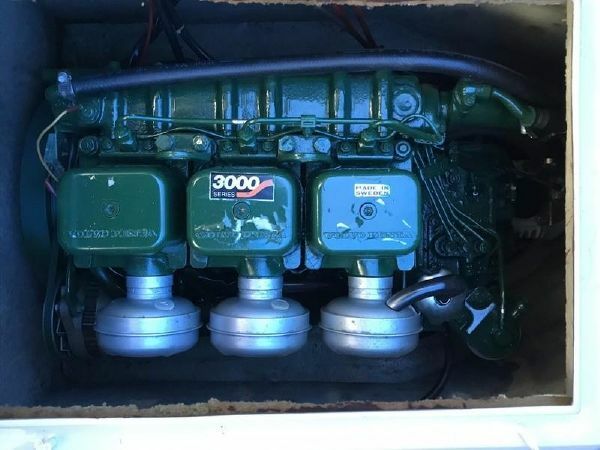 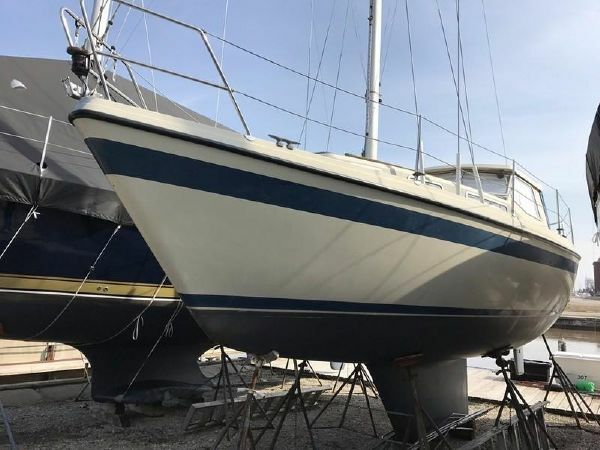 This Danish built LM 30 is a popular motor sailer with good sailing performance. 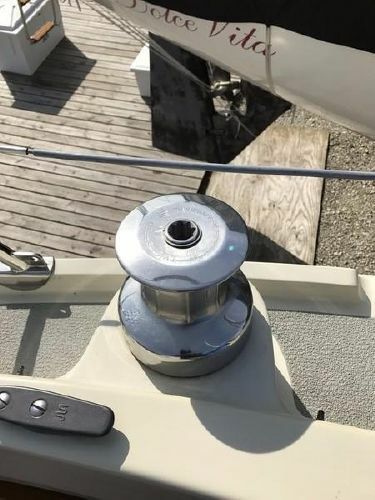 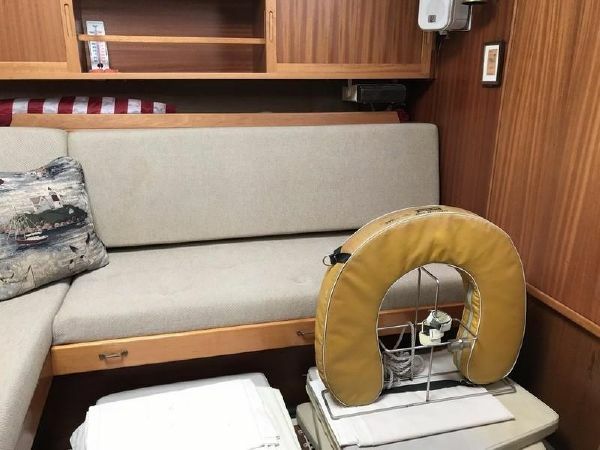 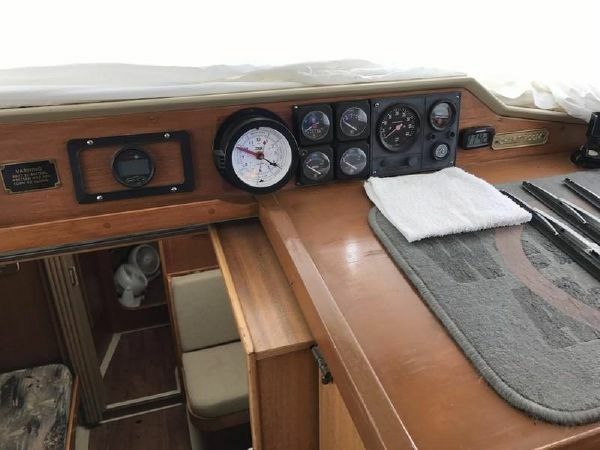 It is easy to handle and has excellent vision from the fully enclosed wheelhouse helm station. 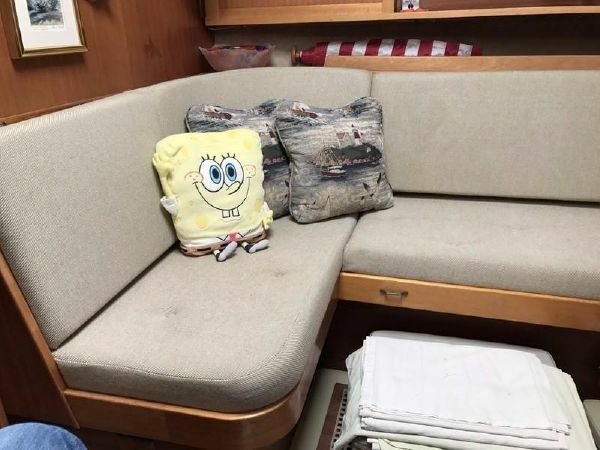 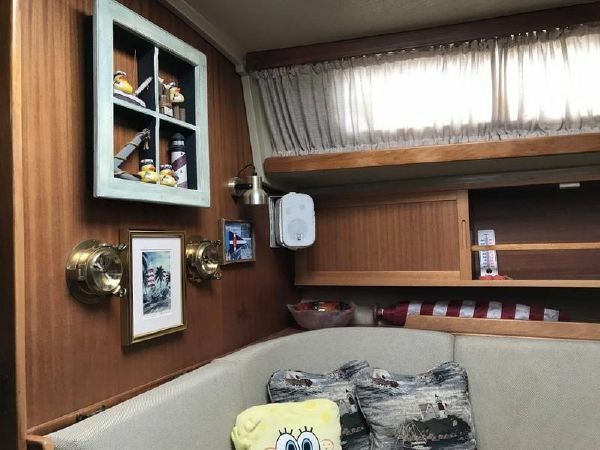 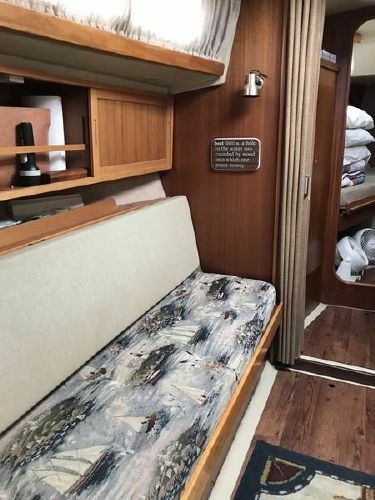 The accommodations include a flexible layout in the forward cabin, a spacious saloon and a new head. 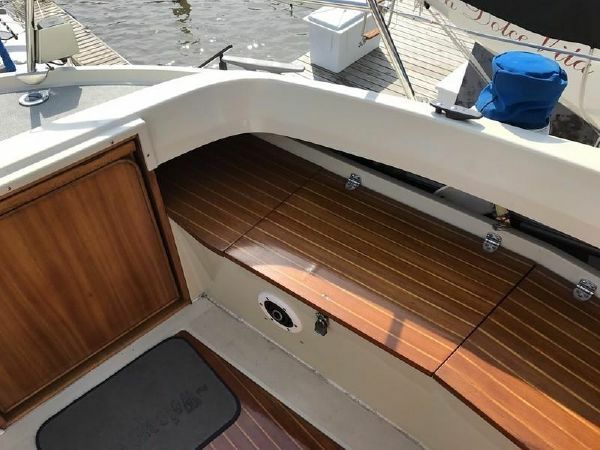 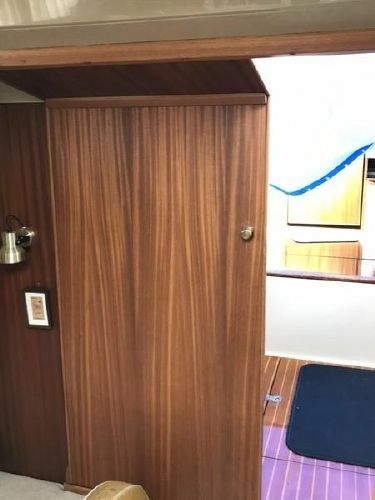 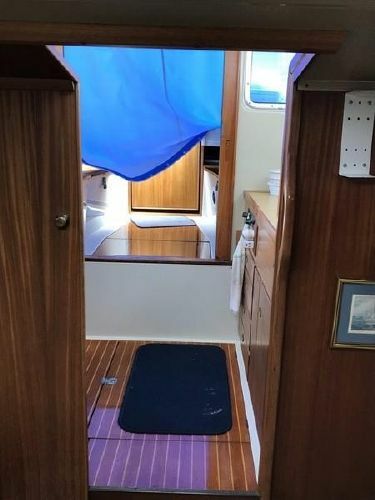 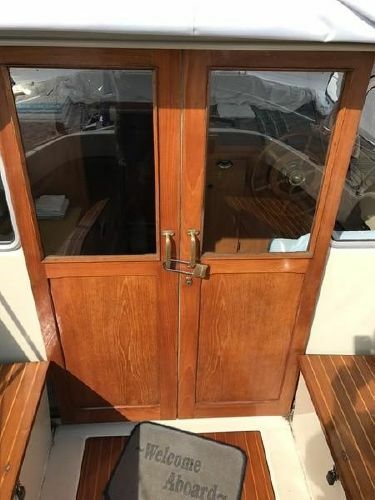 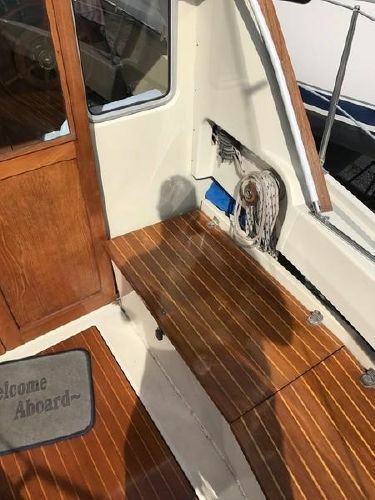 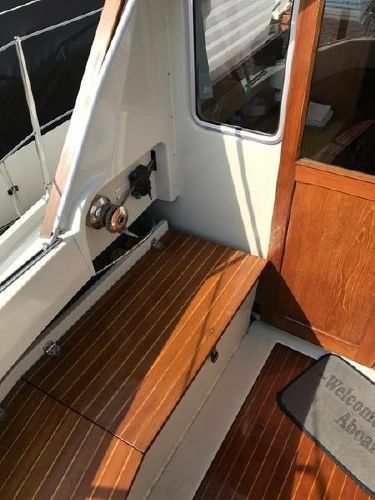 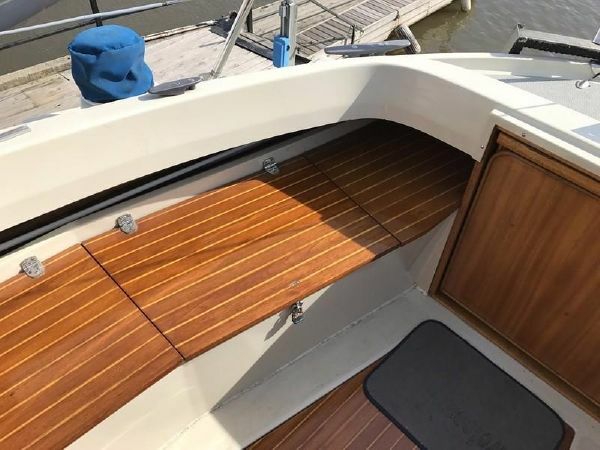 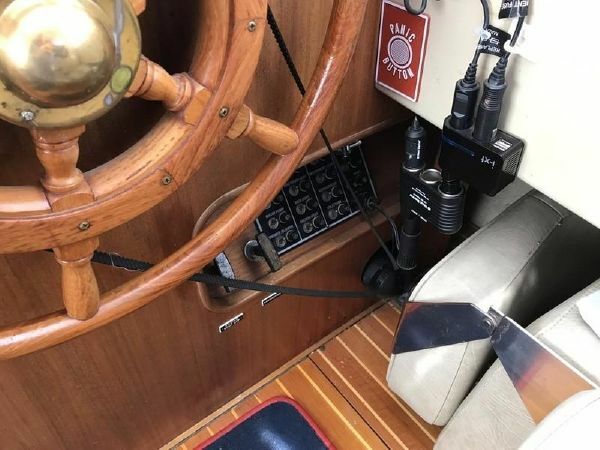 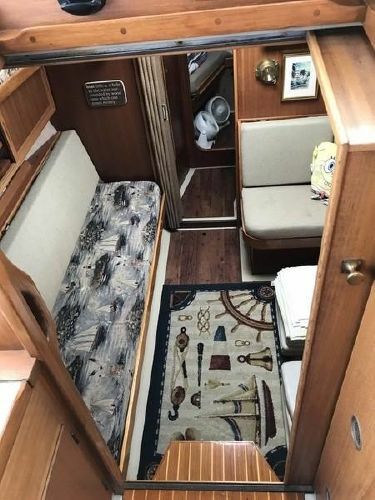 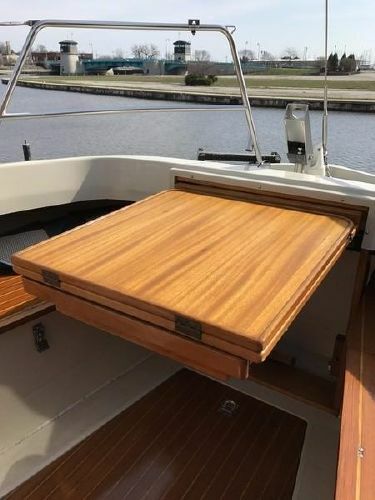 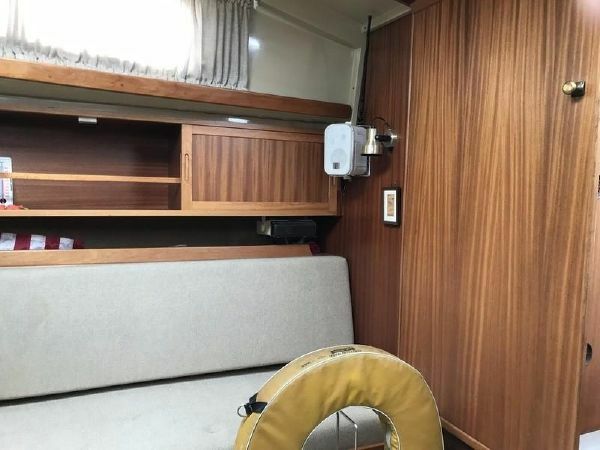 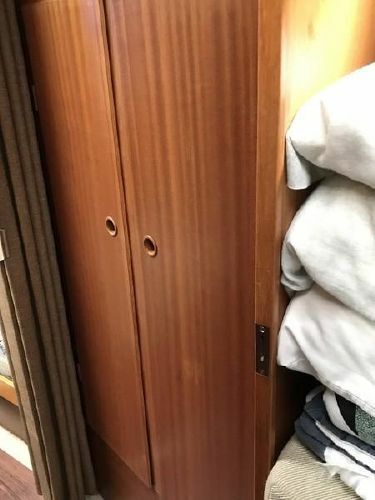 There are beautiful wooden flooring through out as well as a wooden sliding door from the wheelhouse to the cockpit. 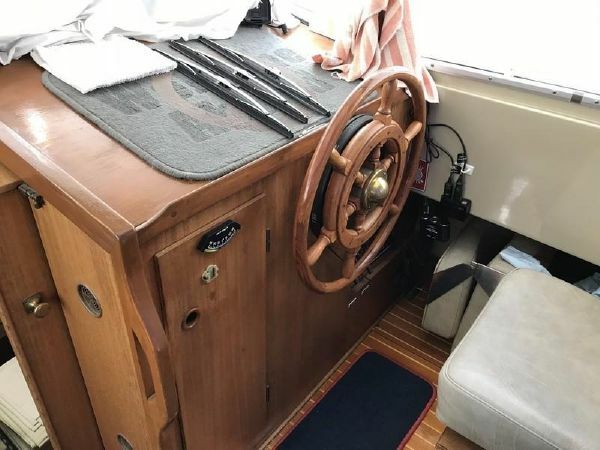 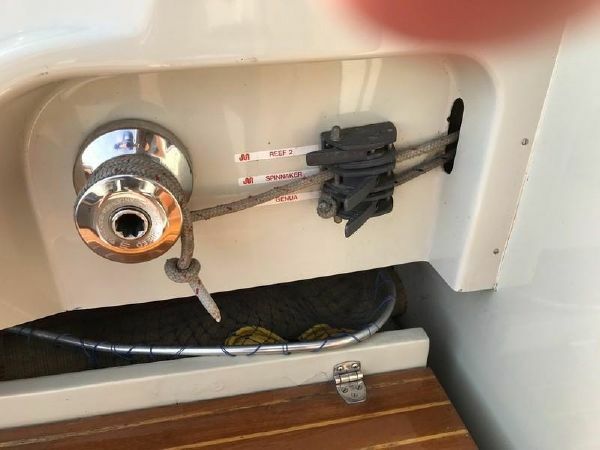 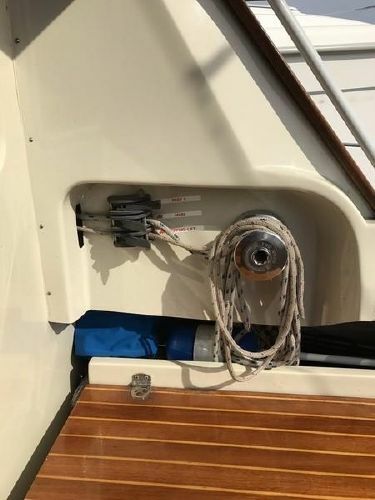 The LM's by design also included another helm station with tiller steering at the stern of the aft deck. 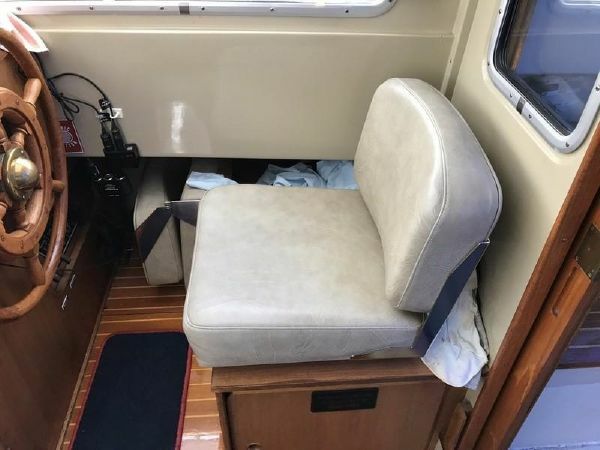 There is a cockpit cover as well as a full cover for the back. 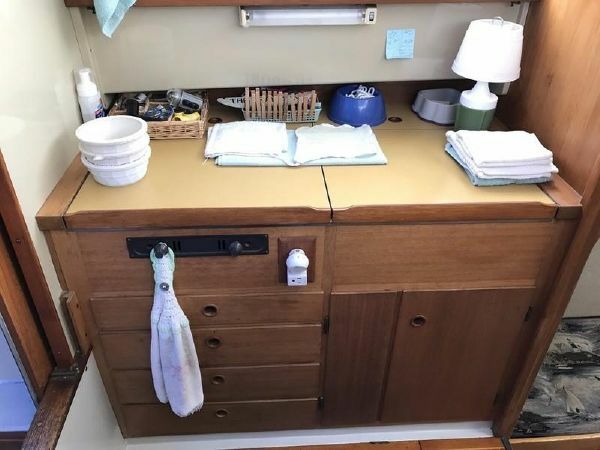 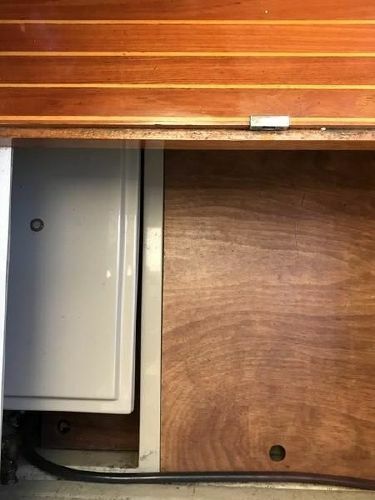 There is also room for plenty of storage and folding table. 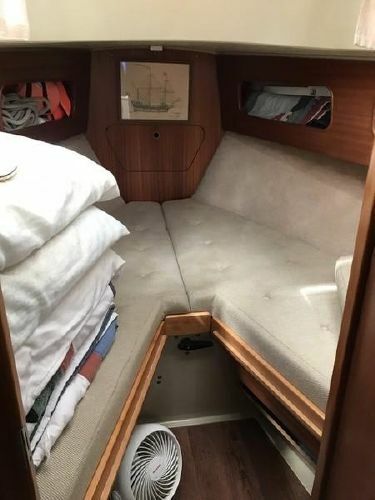 This boat also include a 10' dingy.